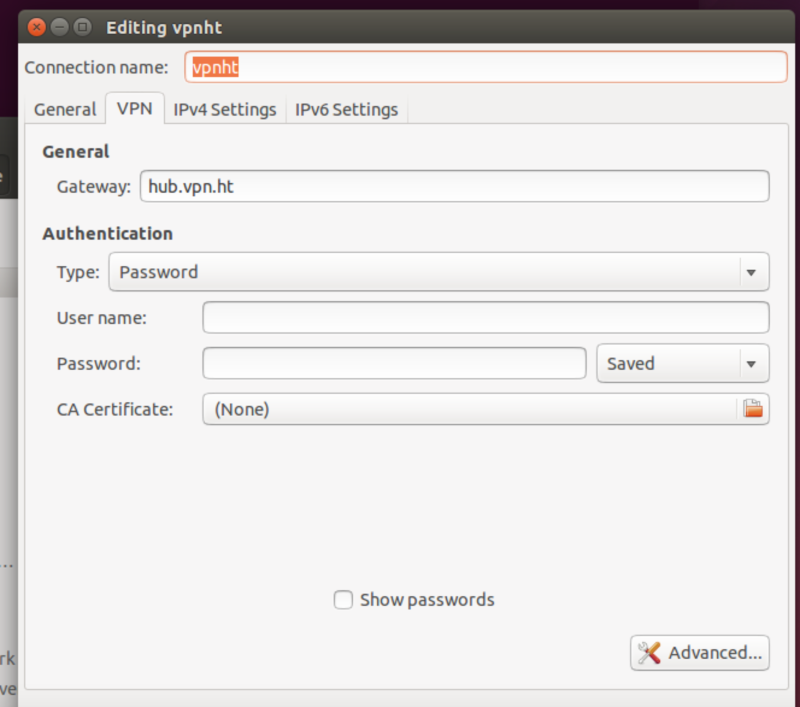 Linux Ubuntu Network Manger OpenVPN - Vidensdatabase - VPN.ht. Click here to download the ZIP archive, extract after downloading. 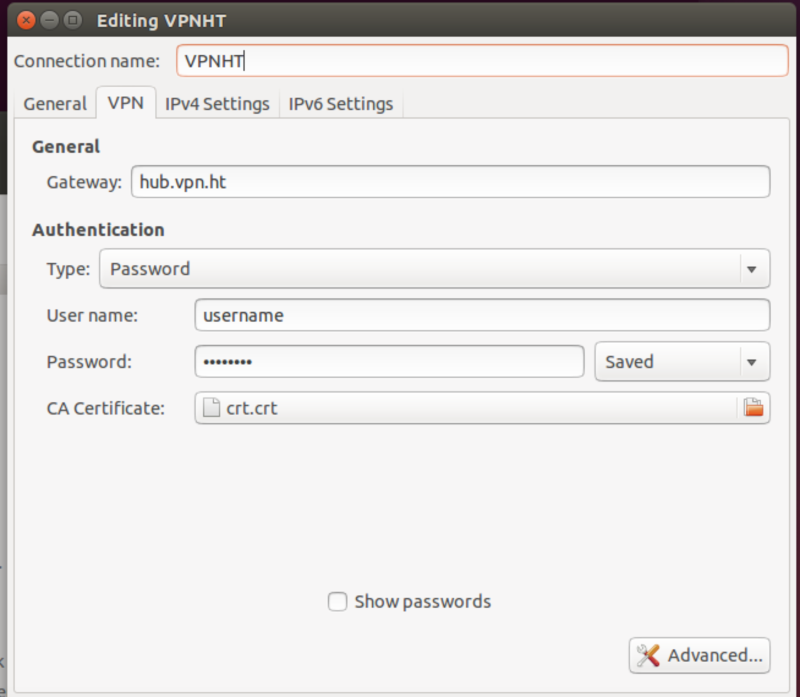 And open the .ovpn you extracted from the ZIP-archive. And select the crt.crt file you extracted from the ZIP-archive as CA Certificate. Check the 'Use additional TLS authentication option and select the ta.key file you extracted from the ZIP-archive as 'Key File'. Make sure the 'Key Direction' option is set to '1'.